Sergio Aguero and Nolito both struck twice as Manchester City beat Stoke 4-1 in the Premier League to maintain Pep Guardiola's perfect start as manager. The prolific Aguero took his tally for the season to six in three games with a penalty and header in the first half before new signing Nolito made sure of victory at the bet365 Stadium with a late double. 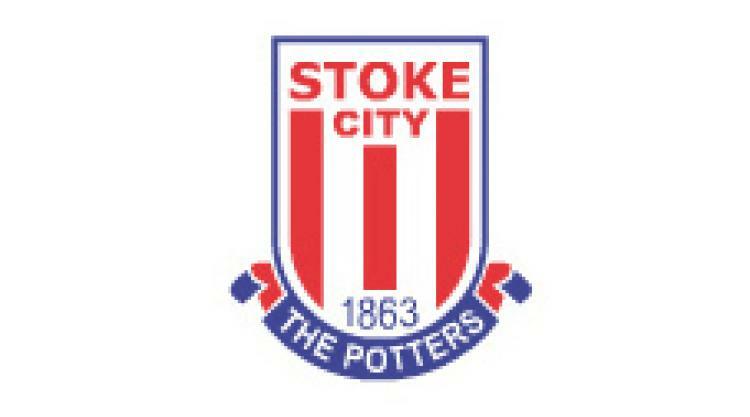 Stoke had made it 2-1 with a Bojan penalty early in the second half, but the Potters were unable to force an equaliser and substitute Nolito finished them off with two in the last four minutes. Manchester City, with Joe Hart again on the bench and Yaya Toure again omitted from the matchday squad, were highly impressive for most of the first period. Their intensity slipped after the break but, although Stoke boss Mark Hughes may quibble over some of referee Mike Dean's decisions, they were good value for their victory. The visitors were straight on the front foot with Aguero firing across the face of goal and Raheem Sterling - booed by the Stoke fans, presumably after his poor summer with England - curling a shot narrowly over. But as good as City looked going forward, there were still vulnerabilities at the back and they were caught out after one of centre-back John Stones' forays forward. Marko Arnautovic broke clear but he mis-hit his shot and Joe Allen drove a follow-up attempt over the bar. Allen had another chance when Bojan slipped him through on goal but Nicolas Otamendi blocked. Guardiola's side responded with a quick break of their own but Sterling, this time starting on the left, shot tamely. Their breakthrough came in the 27th minute after Ryan Shawcross was penalised for holding Otamendi in the area. Aguero, despite missing twice from the spot in midweek, retained penalty-taking duties and sent former Manchester City goalkeeper Shay Given the wrong way. Aguero doubled his tally from another dead-ball situation after 36 minutes, this time rising to meet a Kevin De Bruyne free-kick with a powerful header. Stoke could have had one back after a frantic passage of play shortly before the interval. First Phil Bardsley connected with a fierce volley which Willy Caballero blocked, Mame Biram Diouf heading wide in the ensuing scramble. Amid all that, Allen went down under a challenge from Aleksandar Kolarov and seemed unlucky not to be awarded a penalty. But the Potters were awarded a spot-kick for less early in the second half after Sterling was harshly adjudged to have impeded Shawcross at a corner by referee Dean. Bojan made the most of the opportunity and rifled home from 12 yards. Guardiola's men became far more ragged after this and lost the precision of passing with which they controlled most of the first half. Yet Stoke could not take advantage and struggled to create chances. Jon Walters went down in the area after a Sterling challenge but, much to Hughes' frustration, nothing was given by Dean. The visitors made sure of victory four minutes from time when Kelechi Iheanacho won possession and took the ball round Given to set up a tap-in for fellow substitute Nolito. Nolito claimed another in stoppage time after a fine run from Sterling.